Is There a Noticeable Difference Between 1080p and 720p YouTube? 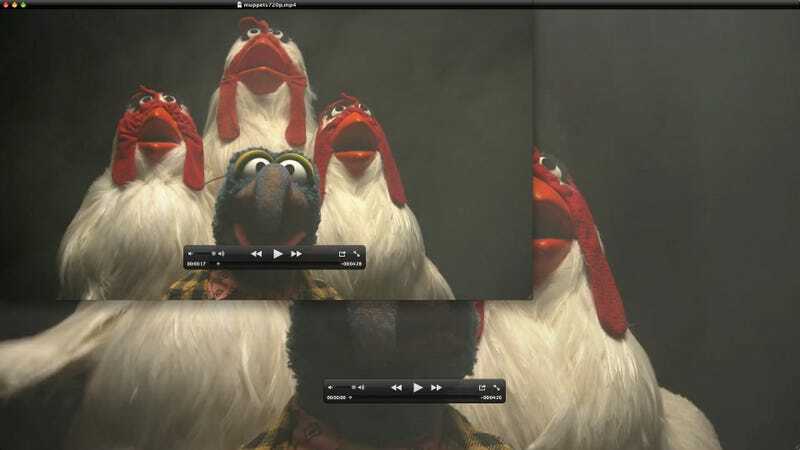 A Muppets version of Queen's Bohemian Rhapsody? You got me at Gonzo and the chickens. This is one of the first 1080p YouTube clips, weighing 107MB compared to the 72MB 720p. Does the resolution make any difference? You bet. First, enjoy the video by playing it full screen. Switch between 1080p and 720p while you do it. Better yet: Use Firefox's Download Helper to get the 720p and 1080p MP4 files into your hard drive, then play them side by side or at full screen. You will see that the 1080p version is clearly sharper than the 720p, helped by the extra pixels. In the 1080p version you see can a lot more of the delicate textures of the Muppets' fabrics, as well as fewer artifacts, and more details in all the objects in the screen. Don't believe me? Check this comparison gallery then.